Did you know that some moths are shiny in appearance while others are brown or grey? Maybe not, but one thing you know for sure is that you do not want them in your wardrobes or carpets. Our professionals can help you with moth extermination before these pests destroy all of your clothes and soft furnishings. Moths love the dark enclosed space of closets. Moths can also breed in and feed from food such as packets of flour, and soon overrun your kitchen cupboards. One of the problems with the clothing moth is that in its larva stage, the pest that thrives on clothing, particularly on the woollen garments…although it will feast on anything that is made of fibrous material. The larva thrives on things made from products such as angora, cotton, wool, furs and cashmere. The other problem with house moths is that when they breed, the numbers can quickly become excessive, and the little creatures fly around the house and soon get just about everywhere. Our professionals know how to carry out effective moth pest control, because they understand the insect’s habits, including breeding, lifecycle and so on. The moth goes through four stages of life – egg, larva, pupa and adult. With favourable indoor temperatures, females will lay eggs throughout the year. If conditions are right, a new generation of moths is hatched after a month. On the other hand, where conditions are unfavourable, their eggs will stay for about a year before they hatch, so either way, you are still going to have an infestation of moths in your home at some point if the eggs remain. Usually, an adult moth lives for about two to four weeks, although the female clothing moth dies soon after laying eggs. The moth’s larvae are easily identifiable because they have a dark head and cream-coloured body. They are very small though, measuring approximately quarter of an inch. Once they are hatched, they become active, and their minute size makes it difficult for you to see them since they hide in crevices. With an intimate and comprehensive knowledge of moths, our team of expert technicians are best placed to provide you with effective moth control London. In your house, certain signs indicate that it’s time to contract professional pest control moth services. For instance, you may notice damage to clothes or upholstery. Loose fibrous material on the shelves of your closet should be taken note of too. As they feed on clothes, some of the fibres may be seen on the floor or shelves. You might also notice some chipping along carpets or rugs. In kitchen cupboards, you might see larvae in flour or small moths on the inside walls of the unit. The moth is a serious pest. It may be small but it can cause havoc that you will live to remember if you don’t get the services you need for pest control moths in a timely fashion. Damage caused by the small larva can be intensive and they are hard to detect since they do not like to stay exposed to the light. Adults can be found in the house throughout the year, and their persistent presence is what makes it hard for homeowners to get rid of moths without assistance. Catch-it provides a variety of services, including clothing moth control, house moth control and carpet moth control. We provide our programme of moth control London in three visits. On the first visit, our technician talks to you and listens to the problems you have been experiencing. We do this to ascertain that indeed, its moths we are dealing with, and which type, and which treatment solution will be best. The technician will then give you an outline of the first treatment that we will implement to get rid of the moths. This is then followed by a detailed inspection of your house to determine the location, concentration and extent of the problem. These preliminary processes before the actual extermination process are very important as they ensure that our pest control technicians do not start the process blindly. 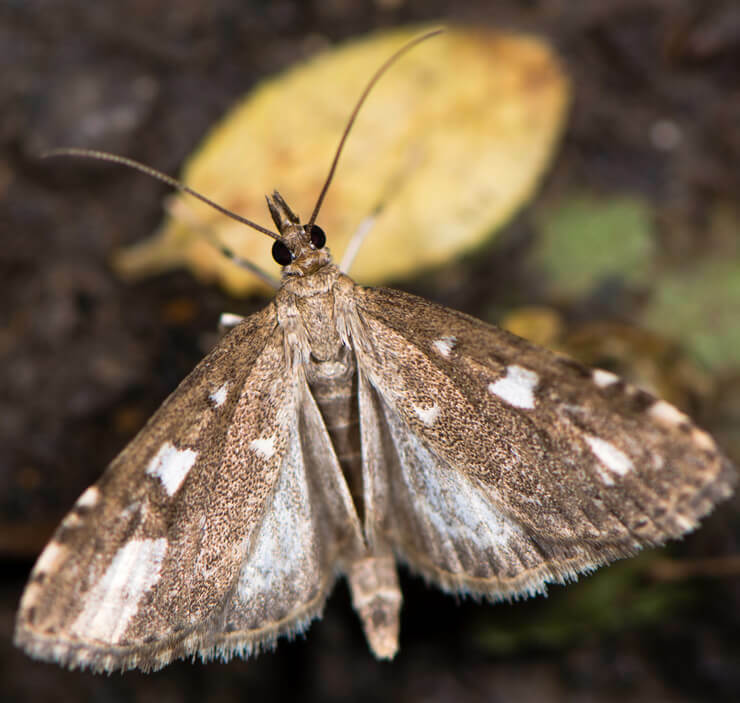 We believe in offering a holistic moth fumigation and supporting treatment, where we address the root causes of moths, rather than treat the moths themselves only to leave eggs or larvae and have them come back again soon after. Residual insecticide is used on the affected areas sparingly. It is paramount that treatment be done carefully so that larvae development can be cut off completely. We will compile a report for you and do two follow-ups afterwards to ensure that the moths’ eggs are exterminated and to also show you how to prevent infestation in future.